Mel Austin performs comedy for corporations (click here; http://laugh2success.com/corporate-fun.html), military (click here; http://laugh2success.com/military-shows.html), fundraisers, senior homes (click here; http://laugh2success.com/senior-living-community.html) private parties, school assemblies (click here; http://www.laugh2success.com/school-assemblies.html) and churches (click here; http://laugh2success.com/church-events.html). Mel does ongoing shows for Primerica, American Cancer Society, Veterans of Foreign Wars, VA Hospitals, SCAN Health Care and Ontario/ Chino Unified School Districts. As the CEO of Squeaky Clean Comedy, Inc. (a.k.a. Laughing to Success Entertainment), Mel has access to other comedians to create a full show for clients when requested. Mel has been an comedian, actor and motivational speaker for the last 21 years and has served in the U.S. Marine Corps. He also performs at The Improv, Comedy Store, Laugh Factory and produces comedy events at major venues and local community gathering places. Mel Austin is the host and creator of “Squeaky Clean Comedy” at Dave & Buster's (Ontario, CA). He has several commercial, film and theatre credits. His most recent nationwide commercials are with Terminix and National Geographic and AMP’D Mobile. 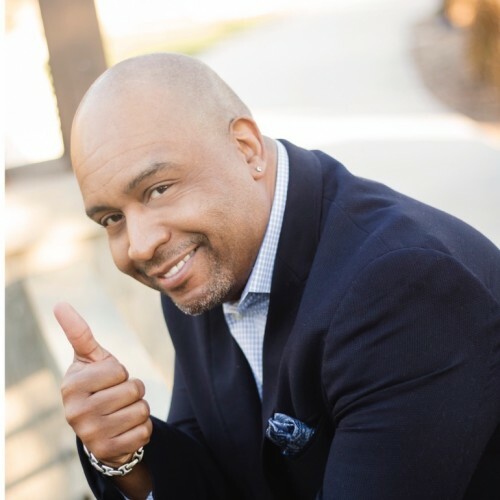 Mel Austin is a coach/trainer/teacher of acting and standup comedy for teenagers, adults and rehabilitated prison inmates. Originally from Chicago, Illinois; He resides in the city of Riverside, California. Find out more about Mel Austin (Clean Comedy) at http://www.laugh2success.com.